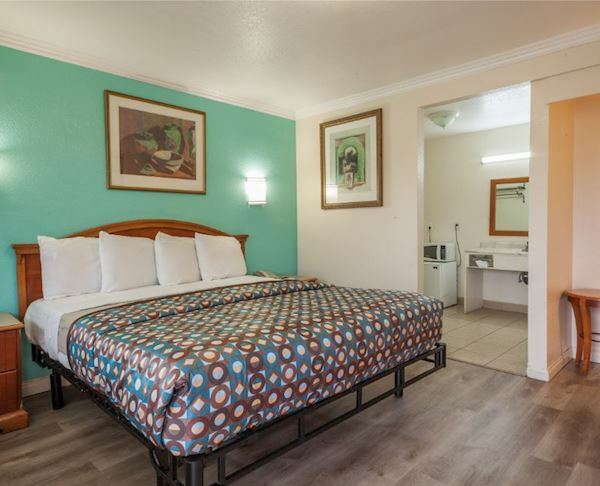 This premium non-smoking room features two comfortable Double sized beds and and is newly renovated with hardwood floors and luxury bedding sets. 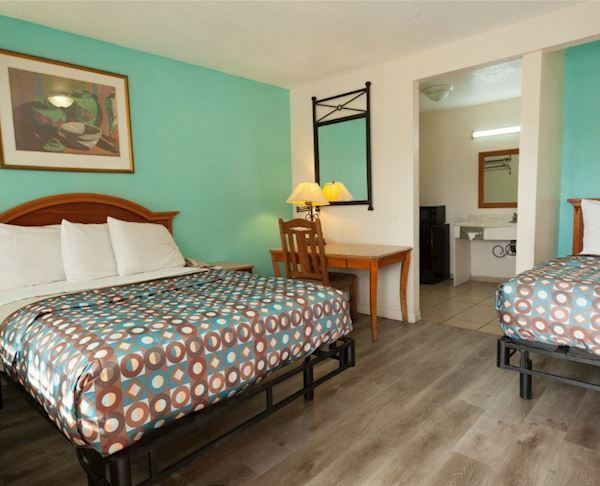 The spacious room also includes an HD TV with cable programming and complimentary Wi-Fi internet access to stay connected at all times. Other in-room amenities include a mini refrigerator, microwave, telephone and coffee maker. Our newly renovated smoking Executive King Room features a 50" flat screen TV and plenty of HD programming for your entertainment. Hardwood flooring and luxury bedding sets this room apart from the crowd. Stay connected on social media and check your email with complimentary high speed wi-fi. 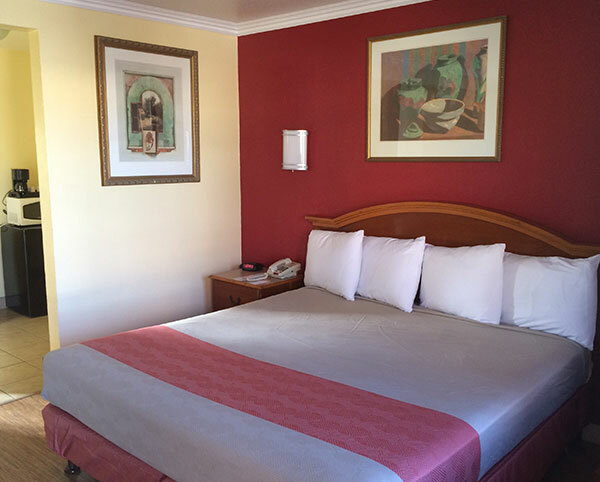 This deluxe smoking room features a comfortable King sized bed and plenty of pillows for a pleasant stay. The spacious room also includes a LCD TV with cable programming and complimentary Wi-Fi internet access to stay connected at all times. Other in-room amenities include a mini refrigerator, microwave, iron, ironing board, hair dryer, telephone and coffee maker.